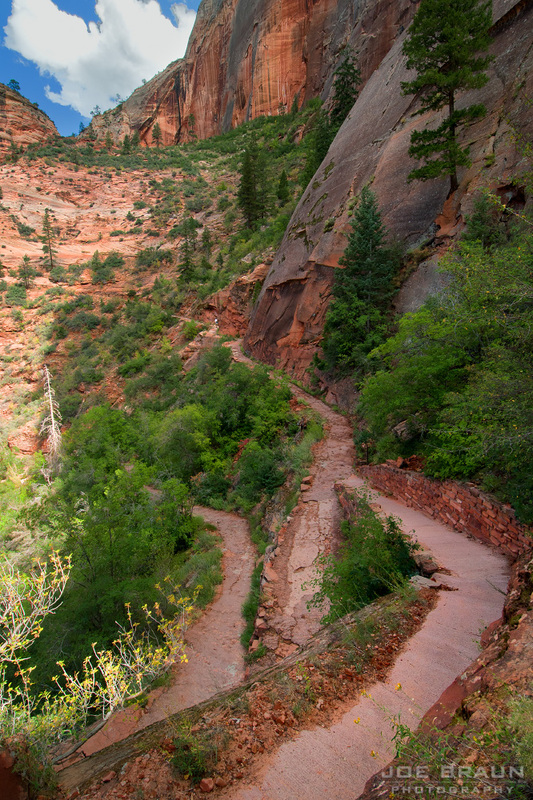 The Hidden Canyon Trail zigzags up and over a minor saddle. 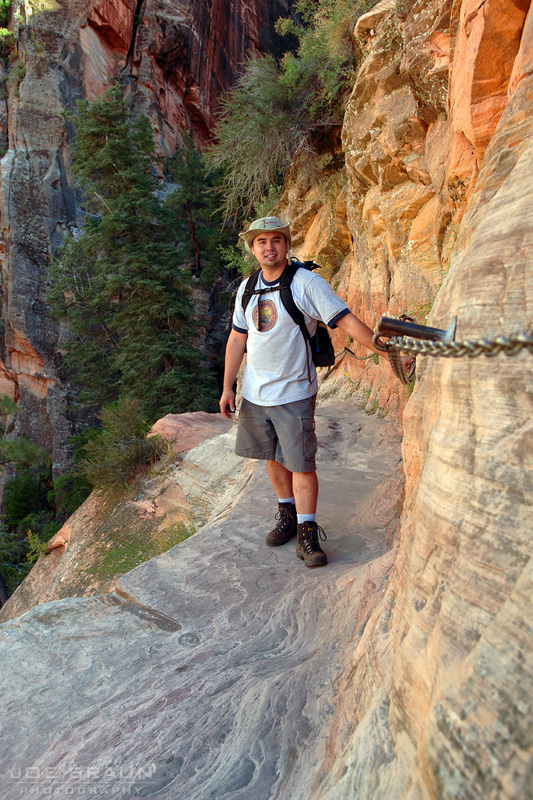 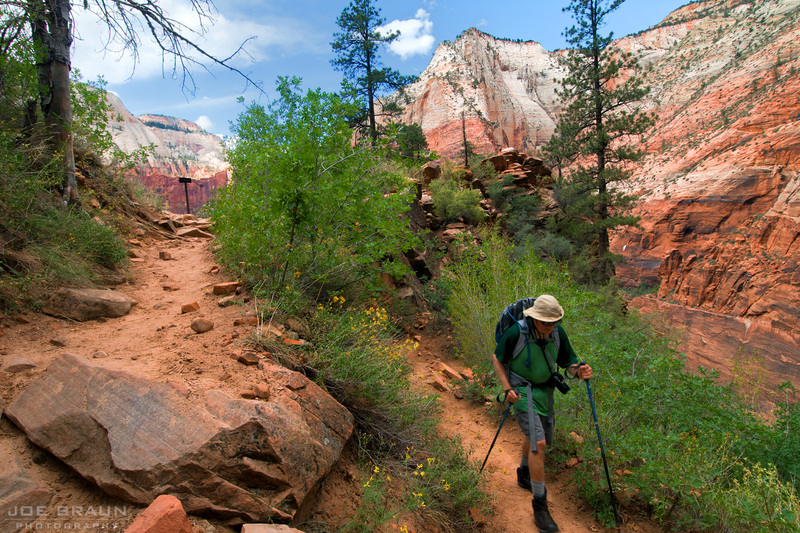 A happy hiker walks along the exposed ledge trail. 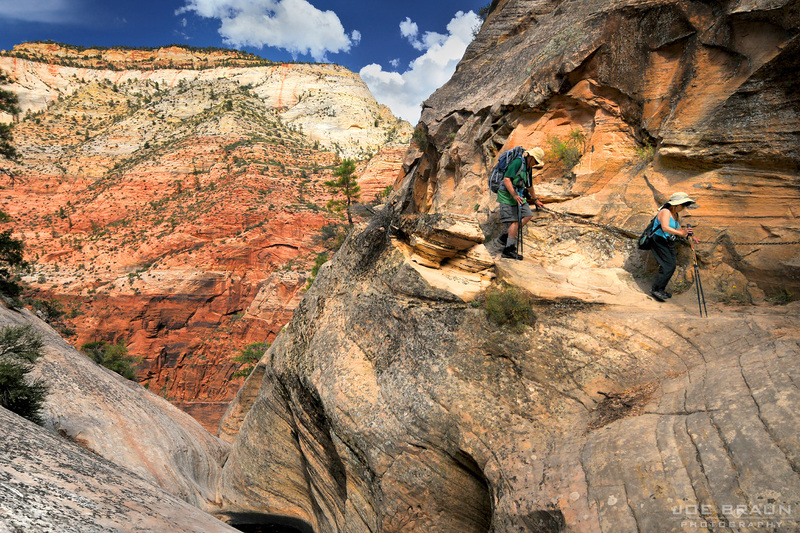 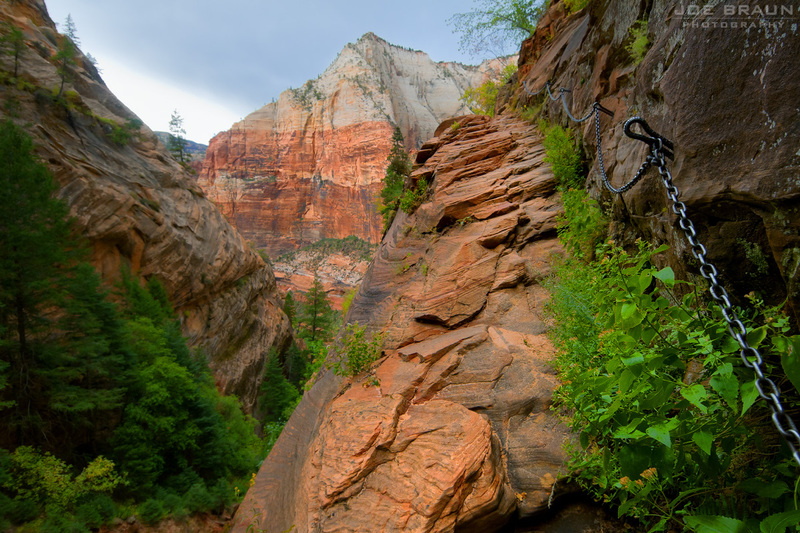 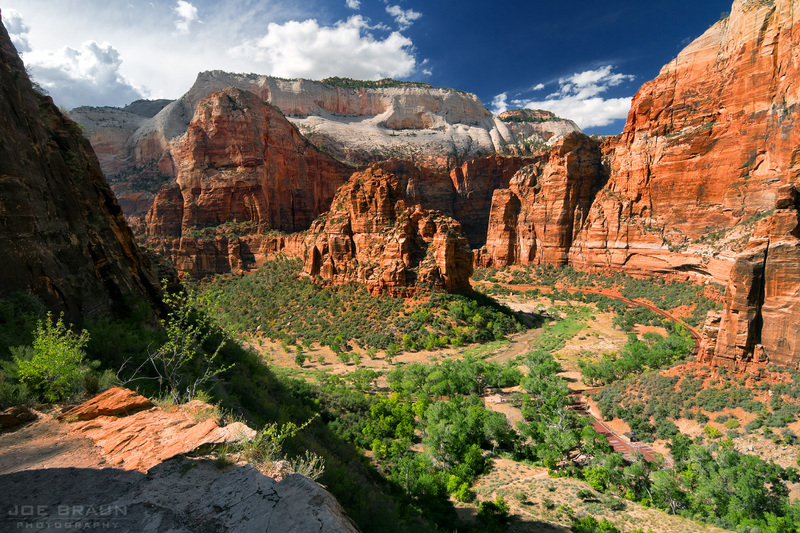 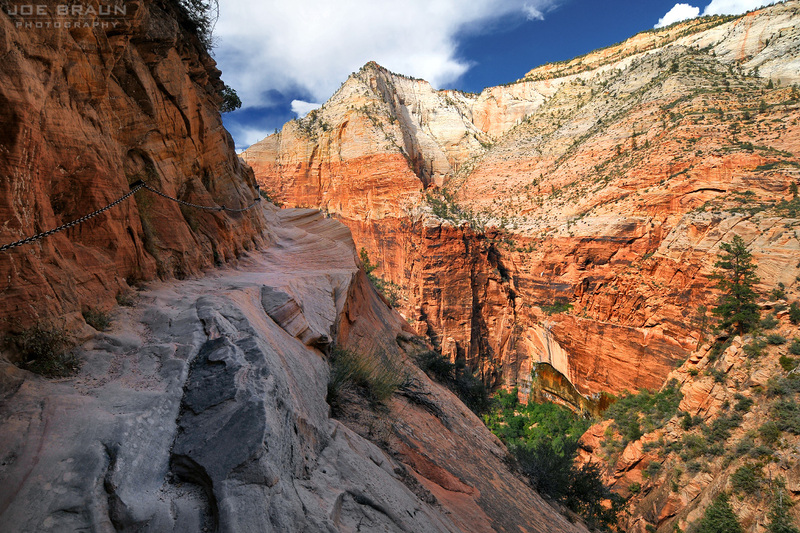 The exposed ledge leads us to the mouth of Hidden Canyon.